Welcome to the Vision Room! I am glad you are here, because we built this online “room” just for you. Over the past sixteen years the Auxano team has focused entirely on our onsite consulting process called the Vision Pathway, helping church leaders experience the freedom and confidence that God-given clarity and well-defined vision provides. Along the way we have created tools like Church Unique which outlines our process and the Vision Deck which jump-starts great leadership retreats. But you want more. Why? There too many content providers for church leaders who push out average-only content that does not consider your unique vision. As a result, the everyday pastor swims in an ocean of social-media content that is only digestible one cup at a time. And the cupful you reach for may or may not be helpful. Where can you go with confidence to clearly think ahead in ministry? 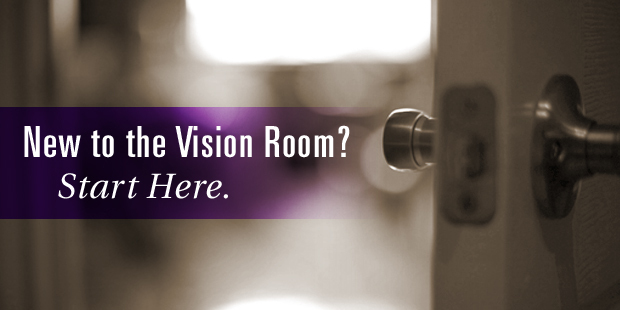 We believe the Vision Room is the answer. It is built on a structure that presents high-quality content in a meaningful way. Whether you are a previous Auxano client, a fan of Church Unique or discovering our vision clarity products for the first time, you will find great intentionality toward the application of your vision. How does this work on the Vision Room? First, everything is designed around our Vision Pathway process. Have you walked it yet? If not, follow the five icons in the Discover Vision Clarity section on the homepage. Do you have your own Vision Frame living and functioning well? If so, then you will want to engage the five topics of our Integration Model, in the Live Out Your Vision section. Second, we have curated all of our content very carefully. We have a high-quality filter and B+ work doesn’t make the cut. Your time is too important and the mission that Jesus has given to us is too urgent. Third, before leaving the Vision Room, be sure to check out the amazing SUMS Remix book summaries. Enjoy the Vision Room. I hope you like what you see. More than that, my prayer is that these resources propel you forward as you pursue the unique ministry vision God has placed in you. Let’s go ahead together for the cause and sake of Christ. I just discovered this today and am looking forward to exploring the content on here. It looks like it could be very helpful. Just an FYI - in your paragraph on not putting out B+ material you have a typo. A little ironic. :-) The third sentence begins with "You time" not "Your time." While I read with great interest your introduction, several key issues are necessary. Emerging churches that open their doors and belief to a community are visions all denominations seek. I have worked to find a functionable Pioneer Mission role project in the USA or Canada that actually are willing to employ and empower open clergy who can raise awareness to revitalization of a church region or denomination. Let's talk and find ways to expand the mission you see, and hopefully this will start a new role for Open Clergy in active work. How Do You Know When Your Church is Winning? Classic wisdom taught us that our mission or purpose statements are timeless. In many ways that’s true and its a helpful teaching concept. And in an ideal world, it works. But in reality, there are times when a leader should change or renew or recreate the sense of mission. So don’t let the classic wisdom freeze you and prevent a significant opportunity to create fresh meaning and new progress for God’s people under your care today. When should you rewrite your mission? This happens when leaders have not been emotionally connected to the big idea of what the church is about; therefore they don’t use it as an everyday leadership tool. It never makes it into conversations, team meetings, volunteer recruitment or preaching. Usually this is the result of some ridiculous committee-based jargon that is way too long. Or it may be just a short over-generalization of the Great Commission or Great Commandment that has no real teeth for folks in the congregation. We look for the “catalytic” factor in a good mission; that is, it should reinforce upon hearing it, that it involves everyone in the gathering of God’s people. Sometimes a statement subtly reinforces the idea that “we have a pastor or staff who does the mission for us.” (Even thought this is always unintentional, it is more common than you would think.) The last thing you want is a statement that strengthens the death of the church with a clergy-laity false divide. Sometimes greater clarity comes as you lead. Sometimes a significant accomplishment behind you leaves you with an entirely new perspective looking ahead. At such times, a tweak or evolution of your mission can be strategic and powerful for the people you are leading. We have worked with churches that have a good statements of mission that become less meaningful on the backside of our Kingdom Concept discovery work at Auxano. The Kingdom Concept is an tool we use to further discern your church’s unique strength by examining more thoughtfully, the unique place the church is located (local predicament) the unique people that God has gathered (collective potential) and the unique passion of the leadership team(apostolic spirit). It answers the question, :What can your church do better than 10,000 others.” Church leaders love to refresh their mission after this experience. EXAMPLE: The Elders at Northwest Bible Church, led by Neil Tomba, were excited to land the plane on their Kingdom Concept, that unpacked how the church was called to “Make Jesus real in a make-believe world.” They discuss how their local area is filled with worldly and religious pretense. They discussed their passion to embrace and reinterpret brokenness. Afterwards their existing mission, albeit good, didn’t feel great. It was, “Equipping people to passionately pursue Christ to do whatever he asks of us in the world.” Now their mission is “Inviting people into the unexpected joy of desperate dependance on Jesus.” Can you feel the difference? Yes, many great leaders planted churches in the 80s, 90s and 00s by looking to great models like Willowcreek, Saddleback, NorthPoint, LifeChurch.tv, to name a few. These model churches also created vocabulary that leaders were inspired to adopt. This borrowing of language works fine in the early years. The problem is, God is always doing something unique and new. That means at some point in the church’s history and the leader’s core, a hunger emerges to express that something new; that something one-of-a-kind that God is doing. If this is happening you should name it by re-articulating your mission. If the mission isn’t happening it isn’t happening. I don’t think I have ever seen a turn-a-round without some new leadership or leadership tools in place. Remember the most fundamental tool of leadership is the statement of mission. It answers question zero- the question before all other questions. 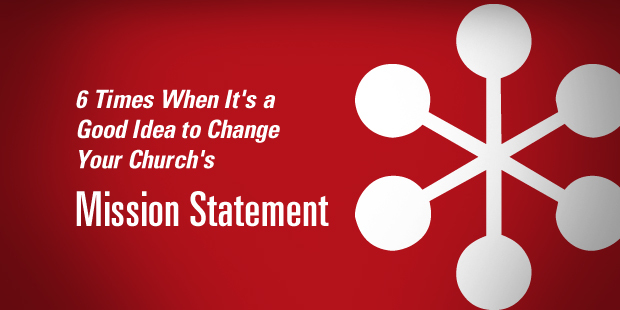 There are simply times where you need a re-statement to be a part of a congregational reboot. EXAMPLE: Years ago Crozet Baptist Church realized that life wasn’t going to get better as a congregation unless they started focusing outward. With twenty-five deacons in the room we set out to re-articulate their mission. With many different opinions in the room, there was one thing they could agree on: their town was located in the fastest growing county in the state and they would see unprecedented opportunity to reach people in the church’s one-hundred plus year history. At the end of the Vision Pathway, they had a brand new day of clarity starting with the mission to encourage people in our ever-expanding community to follow Christ with ever-increasing passion. > Read more from Will here. Connect with an Auxano Navigator to learn more about your church’s mission. Is Your Church in the Wrong Business? Dennis Richards is the executive pastor at Preston Trails Church in Texas. Listen in as he walks through how the church gained extraordinary clarity using Auxano’s Vision Framing Process and the difference that made in the life of their church. This episode is a great guide for your church to wrestle through what elements you need clarity on and how to move to action once you have it! At Preston Trail we have a very clear understanding of who we are as a church. This clarity comes from an awareness of our mission (what we’re supposed to be doing), our values (the shared convictions that guide our decisions and reveal our strengths), our strategy (what we do to accomplish our mission) and our measures (how we know when we’re successful). The desired result in all of these is that the mission of Jesus would become the mission of our lives. Read more about Preston Trail’s Vision Frame. Connect with an Auxano Navigator to learn more about the Vision Framing process. Does your lack of organizational focus keeps everyone too busy, especially you? Do you feel like most days you are running on a ministry treadmill? You know the feeling – it’s when the busyness of ministry creates a progressively irreversible hurriedness in your life as a leader. The sheer immediacy of each next event or ministry demand prevents you from taking the time to look to the future horizon – and sometimes even today’s calendar – until it crashes in on you. All too often, today’s demands can choke out the needed dialogue for tomorrow. When this occurs, your multiplied activity accomplishes little of value and prevents you from ministry with a clear sense of what God has called you to do. In Escape Velocity, Geoffrey A. Moore, author of the marketing masterwork Crossing the Chasm, teaches twenty-first century enterprises how to overcome the pull of the past and reorient their organizations to meet a new era of competition. The world’s leading high-tech business strategist, Moore connects the dots between bold strategies and effective execution, with an action plan that elucidates the link between senior executives and every other branch of a company. For anyone aiming for the pinnacle of success, Escape Velocity is an irreplaceable roadmap to the top. While forecasting the future should be seen as a necessary action for ministry today, Auxano Founder and Team Leader Will Mancini believes that for every leader who surfs the waves of cultural change there are a hundred who are stuck in a whirlpool vortex – and they feel they can’t keep their heads above the waters. The world outside us is not stuck. It is changing rapidly even as we find ourselves sinking deeper and deeper into the comfort of yesterday. It’s time to go back to the drawing board for vision, strategy, and execution. The larger and more successful the enterprise, the greater the inertial mass, the harder it is to alter course and speed. What if there is some hidden force that is working against your best efforts? What if this force is operating inside your own company, with the full support of your executive team, your board, and indeed yourself? What if this force is able to mysteriously redirect resource allocation so that it never quite gets deployed against new agendas? That force is the pull of the past. Articulate a compelling vision of the future that others will want to support. Set a strategy consistent with your vision. Resource your execution so that it can accomplish your highest aspirations. To free your organization’s future from the pull of the past, to escape the gravitational field of your prior year’s operating plan, you need to apply a force that is greater than the inertial momentum of current operations. Newton’s first law of motion states that an object at rest tends to stay at rest and an object in motion tends to continue in the direction in which it is currently moving. The same goes for resource allocation. When organizations begin their strategic planning effort by circulating last year’s operating plan, they reinforce the inertial properties of the resources as currently allocated. This is not a good outcome, but to be frank, there is no help for it. What you can do, however, is get yourself and your colleagues out in front of it. Execution is acting and reacting in real time to an ever-changing set of circumstances, all the while maintaining your strategic intent. Execution power, by contrast, is created in advance of the real-time moment of truth and focuses on getting the right resources in the right position for maximum impact and efficiency. It’s time to develop a visionary state of mind by practicing two essentials. First, you need to grasp that clarity isn’t everything, but it changes everything. Too many times, church leaders are making decisions and having conversations without the vantage point of clarity first. Is there anything greater that we should be working on? Why would we put our foot on the gas petal before the fog lifts? All activity is not progress. In churches today, it’s all too easy to be busy without intention or direction. Second, we need to state our vision framework before we frame our vision statement. Leaders must work from a common template to understand and communicate vision, or everyone will stay confused. The story and vision of the church won’t work its way into staff meetings, volunteer training, membership moments, casual conversations or our prayer lives. MISSION as Missional Mandate: What are we doing? The missional mandate is a clear and concise statement describing what your church is ultimately supposed to be doing. VALUES as Missional Motives: Why are we doing it? Missional motives are shared convictions that guide the actions and reveal the strengths of your church. STRATEGY as Missional Map: How are we doing it? The missional map is the process or picture that demonstrates how your church will accomplish its mandate on the broadest level. MEASURES as Missional Life Marks: When are we successful? Missional life marks are a set of attributes in an individual’s life that define or reflect the accomplishment of the church’s missional mandate. VISIONPROPER as Missional Mountaintop + Milestones: Where is God taking us? Vision Proper is the living language that anticipates and illustrates God’s better intermediate future. When you commit to clarity, great things happen. You empower a movement of people to tell the story of what God is doing in and through your church. You can seamlessly share the what, the why, and the how. Don’t let all the different vision terms and concepts excuse you from being an everyday visionary. It’s time to stop stabbing at the future with a few short phrases. You can guide your church with stunning clarity. Remember Jesus. He walked on Earth with total clarity about His identity, His mission and His destiny. Shouldn’t His body today do the same? Download a Vision Frame Overview and work through it with your lead team. Start a conversation with an Auxano Navigator today to learn more about how the Vision Frame can help you execute your vision. This is part of a weekly series posting content from one of the most innovative content sources in the church world: SUMS Remix Book Summaries for church leaders. SUMS Remix takes a practical problem in the church and looks at it with three solutions; each solution is taken from a different book. Additionally, a practical action step is included with each solution. How Effective is Your Assimilation Process? How to Change Your Guest Culture – Fast! Do you have problems seeing yourself as a visionary communicator and instead prioritize the maintenance of week-to-week ministry? Are you finding yourself on a ministry treadmill, where the busyness of ministry creates a progressively irreversible hurriedness in your life? Today’s demands can choke out needed dialogue for tomorrow. When this occurs, your multiplied activity prevents you from living with a clearer vision of what should be. 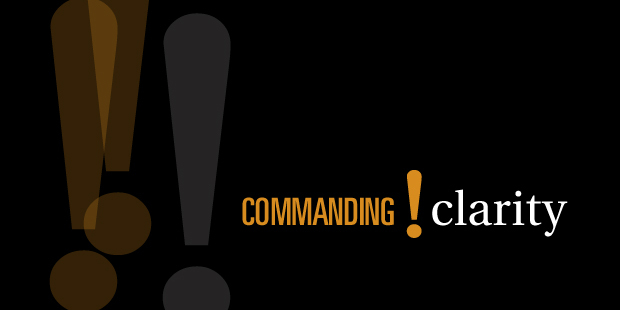 If you find yourself in this situation, it’s time to call a timeout and evaluate the obstacles that keep you from focusing on visionary communication about God’s preferred future for your church. 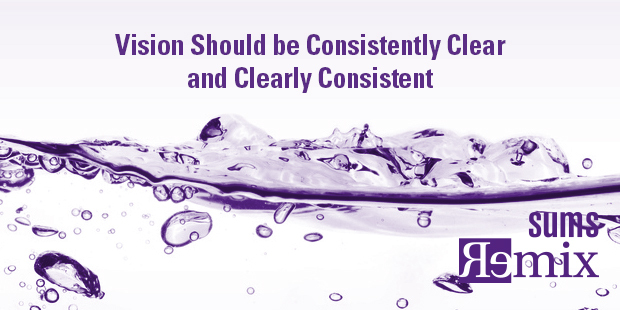 Solution – Vision should be consistently clear and clearly consistent. There is a competitive advantage out there, arguably more powerful than any other. Is it superior strategy? Faster innovation? Smarter employees? No, New York Times best-selling author, Patrick Lencioni, argues that the seminal difference between successful companies and mediocre ones has little to do with what they know and how smart they are and more to do with how healthy they are. In this book, Lencioni brings together his vast experience and many of the themes cultivated in his other best-selling books and delivers a first: a cohesive and comprehensive exploration of the unique advantage organizational health provides. Simply put, an organization is healthy when it is whole, consistent, and complete, when its management, operations, and culture are unified. Healthy organizations outperform their counterparts, are free of politics and confusion, and provide an environment where star performers never want to leave. Lencioni s first non-fiction book provides leaders with a groundbreaking, approachable model for achieving organizational health complete with stories, tips, and anecdotes from his experiences consulting to some of the nation’s leading organizations. In this age of informational ubiquity and nano-second change, it is no longer enough to build a competitive advantage based on intelligence alone. The Advantage provides a foundational construct for conducting business in a new way, one that maximizes human potential and aligns the organization around a common set of principles. How do you as a leader communicate information to your teams? Are you regularly reminding your team of your organization’s mission, values, and strategies? Do these missions, values, and strategies drive the resulting work of your teams? Do your individual team leaders understand and apply these concepts well enough with their own teams to respond to any individual concerns? The problem is that leaders confuse the mere transfer of information to an audience with the audience’s ability to understand, internalize, and embrace the message that is being communicated. The only way for people to embrace a message is to hear it over a period of time, in a variety of different ways, and preferably from different people. That’s why great leaders see themselves as Chief Reminding Officers as much as anything else. Their two top priorities are to set the direction of the organization and then to ensure that people are reminded of it on a regular basis. The reason most organizations fail to communicate to team members is not that they don’t know how to build an intranet site or write a blog or design a PowerPoint/Keynote presentation, but that they don’t achieve clarity around key messages and stick with them. The world is full of organizations where team members feel uninformed and in the dark even though they have access to more glossy newsletters, interactive Web sites, and overly produced team meetings than they need or want. What they don’t get is consistent, authentic, and relevant communication. #1 Successful leadership requires more clarity work not less. The more you lead and the more God blesses your leadership, the more liable you are of losing clarity. Because success assaults clarity, you must never stop fighting the good fight. Engage your own clarity journey with courage and keep reading everything you can on the subject. #2 Many leaders are in desperate need of a clarity system. With so many ways of looking at goals and planning, it is critically important to find an approach and process that works for you. Church leaders across the country have found success in the Vision Frame. #3 Every approach to clarity should start with a “plane ride.” While all of the answers to your life’s clarity questions are organically related, they are also hierarchically structured. Clarity at every level must start with clarity at the top level – the 30,000-foot view from the plane. There are many ways of capturing this idea: synthesis before analysis, strategic precedes tactic, etc. To illustrate, a sense of overall direction must precede determining this year’s priorities, which must precede daily task creation. While everyone may intellectually know this, few practice it. Stop and develop a big-picture goal for the year, thinking in both qualitative (emotional) and quantitative (measurable) ways. Example: By the end of next year, 20% more people will be “elbow deep” in each other’s lives in small groups. #4 Most leaders have not spent enough time in the plane for themselves or the organizations they lead. As a result, all of the lower level questions (goals, priorities, plans, roles, structure, systems, daily tasks, etc.) are, at best, more difficult to answer. At worst, the answers are shaped by the misdirected forces of pet agendas, feelings, and status quo protection and turf wars. Leaders consistently move toward tactics and execution without clarity first. Clarity isn’t everything but it changes everything. So how do you know whether you have spent enough time in the plane? The clarity system we use at Auxano makes it easy to know. Basically you answer five “plane ride” questions in a clear, concise, and compelling way before moving on, and therefore “framing” all other planning work. You can download a visual summary of the Vision Frame as the Five Irreducible Questions of Leadership here. This is part of a weekly series posting content from one of the most innovative content sources in the church world: SUMS Remix Book Summaries for church leaders. SUMS Remix takes a practical problem in the church and looks at it with three solutions; and each solution is taken from a different book. As a church leader you get to scan relevant books based on practical tools and solutions to real ministry problems, not just by the cover of the book. Each post will have the edition number which shows the year and what number it is in the overall sequence. (SUMS provides 26 issues per year, delivered every other week to your inbox). A wise leader of any organization will spend significant time thinking through and carefully crafting organizational values. He understands as the team lives out these prescribed behaviors the organization is more likely to accomplish its mission. While listing Core Values is a common practice, unfortunately living out core values is not. In many cases organizational values are posted on a wall and forgotten or ignored. In other cases the values are defined but no one is sure how they integrate into the daily life of the organization. As a result the values lack the power and influence they’re intended to have. So how do know if your values are adding value? Here are four indicators that may help you find out. Everyday language: You know your values are adding value when they become the common language that team members are using on a day-to-day basis. Keywords or phrases from your defined values are showing up in everyday conversations, meetings and in the way that others describe your organization. These words or phrases become insider language that your people understand and use to help move your organization towards the mission. If you’re values are not showing up in everyday language it’s likely they’re not adding value. 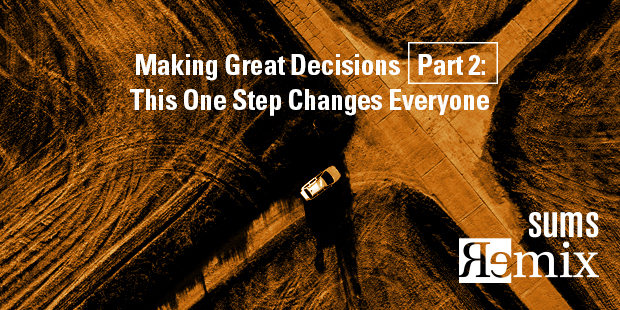 Decision Making: Values can add a great clarity to your decision-making. Every decision you face has multiple options and the option you choose will either keep you on or get you off mission. Your values (I actually prefer to call them Core Behaviors) are a set of a pre-decided ways that you and your organization will behave. Therefore if a decision doesn’t align with one or all of your values then you need to find an option that will. These pre-decided behaviors are intended to keep you on mission. If you’re not referring to your values in the midst of decision making then they’re not adding value. Changed Behavior– Not everyone you bring into your organization automatically reflects your values. That’s okay at the beginning but a clearly established set of values that are communicated regularly will overtime shape the behaviors of the individuals on your team. This will bring greater alignment to the way people behave, think and make decisions in your organization. If your values are not shaping the behaviors and decisions of individual team members they are not having their intended impact. Clear Reputation – It doesn’t take too many touches for people outside your organization to quickly discern what you value. Whether we like it or not what we value is highly visible. This is why one of the leader’s greatest responsibilities is to manage and shape the corporate culture of his or her organization. We do this by modeling and teaching the values/behaviors we expect. When team members live out the values in daily activity others quickly pick up on “how we behave around here”. And it’s those day-to-day expressions of our values that establish the reputation of our organization. What is your church or company known for? If you’re unhappy with the answer to that question then your values are not adding value. 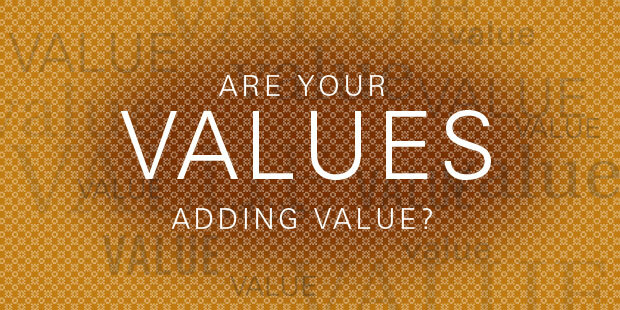 What next steps do you need to take to ensure that your values are adding value? Would you like to learn more about developing Values for your organization? Connect with an Auxano Navigator and start a conversation with our team. Read more from Mac here. Mac is a pioneering influence in the church planting movement. In 1997, he planted Carolina Forest Community Church (Myrtle Beach, South Carolina). In 2004, he began serving as Leadership Development Pastor at Seacoast Church (Charleston, South Carolina) where he served for over six years. In July 2010, Mac Lake joined with West Ridge Church to become the Visionary Architect for the LAUNCH Network. In 2015 Mac begin working with Will Mancini and Auxano to develop the Leadership Pipeline process. He joined Auxano full time in 2018. Mac and his wife, Cindy, live in Charleston, South Carolina and have three children, Brandon, Jordan and Brianna. Have You Defined What Matters Most for Your Church? Are You a Smart or Healthy Church Leader? In the spring, while at a conference, Danny attends a breakout session on small groups. Though the breakout session leader spoke passionately about the “why” of small groups and the importance of a solid ministry philosophy beneath the surface, the vast majority of the questions from those in attendance were about small group practice: How many people in each group? How often do you launch new groups? How often does leader training occur and in what format? What are the leaders called? How does…? Danny feverishly takes some notes on small group practice, notes he plans to implement when he returns to his church. Several months later, Danny has lunch with a respected pastor of a church he has looked up to. He is really grateful for the time, and because he only has an hour, he wants to make the most of it. So he fires off a plethora of “ministry practice” questions: How do you plan your weekend worship services? How do you plan your teaching? How do you…? Danny feverishly takes down some notes that he deems very practical and plans to implement them as soon as possible. 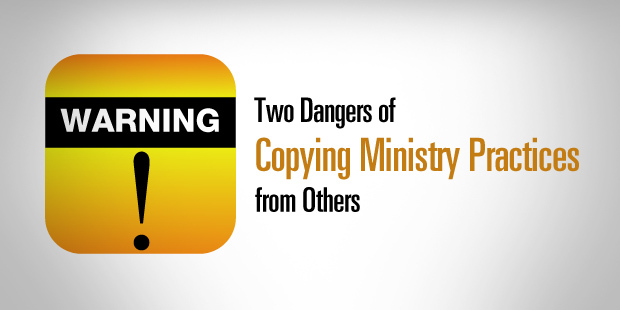 Shallow ministries: If church leaders run to copying ministry practice, the result is ministries that do a lot of things without a reason for the things that they do. Over time the church leaders will not be able to articulate why their group ministry functions as it does, why the kids ministry operates a certain way, and so on. The ministry practice is not built on a ministry philosophy that is connected to a theology that serves as the foundation for the entire church. Schizophrenic ministries: When church leaders look first to ministry practice, they often succumb to the temptation to grab ministry practices from a variety of sources and expect the result to be healthy for the church. But in many cases the underlying theology or philosophy beneath the surface of a particular practice is often contradictory to a ministry practice already in place. And while the leaders feel they are only blending “ministry practice,” they can unintentionally blend contradictory ministry philosophies that cause the church to head in different directions. Some ministry philosophies don’t blend well together. In Creature of the Word, Matt Chandler, Josh Patterson, and I offer a framework that I believe is very helpful for church leaders. Instead of running straight to practice, we encourage church leaders to first understand the undergirding theology of their churches and the ministry philosophy that guides how they think of church ministry. Neither a shallow ministry nor a schizophrenic ministry will be as impactful as it could be, as God intends the ministry to be. Read more from Eric here. Eric Geiger is the Senior Pastor of Mariners Church in Irvine, California. Before moving to Southern California, Eric served as senior vice-president for LifeWay Christian. Eric received his doctorate in leadership and church ministry from Southern Seminary. Eric has authored or co-authored several books including the best selling church leadership book, Simple Church. Eric is married to Kaye, and they have two daughters: Eden and Evie. During his free time, Eric enjoys dating his wife, taking his daughters to the beach, and playing basketball. Tim Keller Answers the Question “Why Plant Churches”? Merry Christmas, and Have a Visionary New Year! I am currently helping a large, non-profit Christian retailer go through a visioning process. Last week a retail consultant led two hours of dialogue in a meeting I attended. These points are heavily adapted from that conversation with some additional thoughts on how they relate to the church. Trend #1: Tweets and Seats- Provide free wifi and places to sit. This is fairly simple to apply at church. Don’t wonder wether you should have wifi or not in any church space. Provide it! Retailers understand this is not a distraction for their customers but is a part of how their customers live (constant mobile connectivity). In addition, its an opportunity for customers to engage the retail space itself in deeper ways like getting more product information, validating lowest price or seeing creative applications and outcomes of certain products. “Can I download the music I am worshipping to right now for personal worship on tuesday morning? Trend #2: Big Data- Know my wife’s birthday—and remind me—before it comes to my mind. Big data is used to describe the massive amounts of data that retails are able to gather, configure and use to better serve their customers. As connectivity, social media and technology accelerate, big data will yield mind-numbing implications for how people are served. For example, imagine Hallmark cards reminding you of your wife’s birthday at the right time, the right place in the right way (device & medium) for you. Today at Elevation Church, every attender was strongly urged to tear off a response card and answer three questions. The first question is “What year were you born?” The big deal is the appeal that was made in the moment of asking. The creative pastor shared that, “We want to do everything possible to design the best worship experience for you and this information will help us.” This is Elevation’s way of building their data. There are a few big players out there in the church information space (I recommend checking out CCB). Be sure to select the one that is most usable and relevant for the future possibilities of big data. More importantly, think creatively of the umpteen ways that you can collect and use information to serve people. For example, I was recently scolded by my church’s student ministry assistant for missing the cut-off of camp sign-up. (Okay, it was my fault). But there’s about 3-4 different ways that this ministry could have reminded me of this info, if they used the data they already possessed. Is a simple text reminder asking too much? Think of the implications way beyond event sign-up, like daily discipleship tools, digital missions and social story-telling. Quite frankly, the possibilities are amazing if church leaders wake up to this opportunity! My prediction: the pastor of digital engagement will be the fastest growing new church job of the future. Trend #3: The Back Story- Sharing why you sell what is you sell is more important than what you sell. If you look, you will see many retailers returning to their roots and telling their creation story to emotionally connect you to their brand. Johnston & Murphy wants you to know they have been making shoes since 1850 and, it just so happens, they are the shoe provider for U.S. Presidents. While we see this all the time with creative upstarts and social entrepreneurs, more and more big for-profits are going there. The simple lesson for the church is that values are important— a practice we are constantly trying to help church leaders advance at Auxano. This trend should be the church’s constant centerpiece, at least with regard to the biblical ideal. Why we do what we do is the heart of any ministry. The relevant application of this is pushing your ability to articulate—and then integrate—how your unique creation story and ministry values help people see, experience and engage the vision. The first step is to communicate the difference. Why does your community need your church anyway? (And don’t give me with generic answers.) Here is an article just posted on the Vision Room that will help. 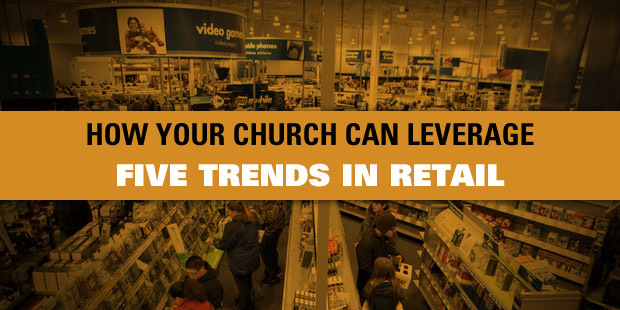 Trend #4: Store within a store- Speak to specific segments within your tribe. Stores like JC Penny or Best Buy are leading the way. At Best Buy you can make a purchase at several different stores within the big store. For example, you can buy standard cables for your new TV in the standard Best Buy aisles or you can go to Magnolia section, with a distinct in-store look and feel, and pickup higher-end cables. You will pay more, but you will also get customized service, like a follow-up phone call, to see how your TV installation went. Trend #5: Generational Training- Teach a millennial how to greet a boomer. Retailers know that age-segment values and practices can make people feel like arrived on a different planet. You can’t just expect a 23 year-old woman to know how to great a 63 year-old woman. Tight-niche retailers worry less about this because they will hire to mirror their demographic target. But most churches don’t have this tight-niche luxury, so this trend is particularly appropriate. When was the last time you trained your first-impressions team or welcome ministry in generational preferences? 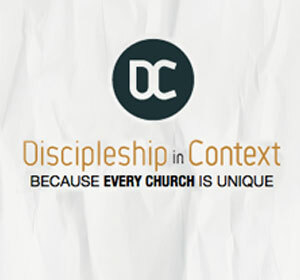 Beyond greeting, imagine the rich implication for all of discipleship. In many churches with history over 30 years, generational viewpoints on walking with God may be your greatest under-utilized asset. How are you leveraging the variety of perspectives, convictions and practices of generations for the sake of the mission? I would love to hear of any practical applications along these lines at your church! All organizations tend to lose their focus and forget their original purposes over time. I call this almost imperceptible movement “inward drift.” The attitude becomes one of protecting the way we’ve always done it rather than looking back to the original purposes and reasons for existence. Numbers of stagecoach businesses failed, for example, because they thought their primary purpose was to make stagecoaches rather than to provide reasonable and rapid transportation. 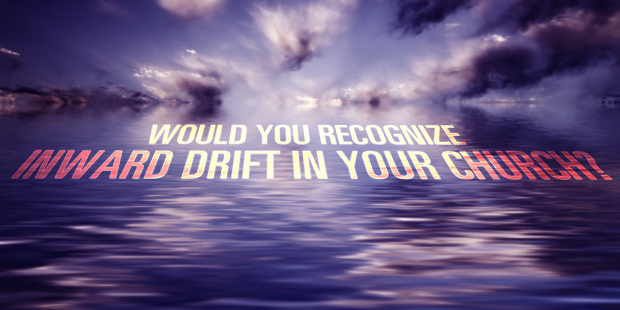 The primary dangers with inward drift are twofold. First and foremost, the organization can forget the very reason it was created. Second, the drift is often imperceptible. Many organizations don’t realize there is a problem until it’s too late. Local congregations are not immune from inward drift. To the contrary, the vast majority of churches in North America are likely in crisis because of the negative impact of inward drift. Some of the labeling of congregations is unfortunate. Particularly, when we speak of “traditional churches” or “contemporary churches,” we rarely come to consensus on a clear definition. My son, Sam Rainer, popularized the term “established churches,” a term I prefer to use today. An established church is simply a church that has been in existence for a few years and is thus susceptible to inward drift. Indeed most any church three years or older will likely begin to experience some of the symptoms of inward drift. When an organization such as a for-profit business begins to experience inward drift, it will change or die within relative short order. The marketplace will not buy its goods or services if the company doesn’t address the needs and the hearts of the consumers. An established church, however, can exist for years and even decades with inward drift. The church may not be making disciples. 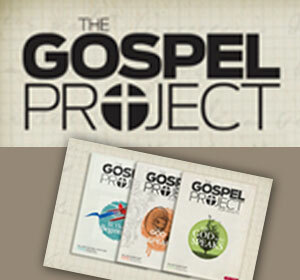 It may not be reaching the community and the nations with the gospel. But it continues to exist more as a religious social club than a true New Testament church. 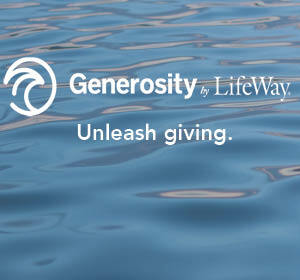 Its members and constituents are willing to fund the congregation since it meets their perceived needs and desires. Most of the ministries and programs are focused on meeting the desires and needs of the members. The budget of the congregation is directed primarily at funding the projects and even comforts of the members. Conflict in the congregation is not uncommon since members are more concerned about getting their perceived needs and desires met. There is little to no focus on evangelism, reaching out to the community, and getting the gospel to the nations. Leadership is weak and reticent to address the problems, because that leadership emphasis could disrupt the status quo. I recently drove through my hometown. I lived in the same house and the same town for my first eighteen years of life. But it had been more than a decade since I visited the town. I was shocked. Businesses on the main street were closed. Some were boarded. Many of the homes I knew and loved had deteriorated greatly. The major industries had exited and left large vacant buildings. It was almost a ghost town. Someone who had never left the town, though, told me that things were really going well there. They were serious when they said it had not changed much since I left. For me, the change was stark and shocking. For him, it was slow and imperceptible. When we fail to see the deterioration that is taking place, we will not see the need to make changes to reverse the course. Such is the crisis in many of our established churches today. And it is that imperceptible inward drift that often makes it so difficult to lead a congregation toward healthy change. In a future post, I will address some of the possible steps to lead an established church toward change without destroying it in the process. I hope you will join me then. Read more from Thom here. At one point I almost began weeping. As I immersed myself in a day of military culture, I couldn’t believe the sheer discipline of clarity that we exercise on behalf of our great country, in contrast to how little we achieve as leaders within God’s eternal kingdom. Here is the mission of the squadron I was with: To provide combatant commanders with a fully combat ready strike group, capable of prompt and sustained operations across the full spectrum of naval operations anywhere in the world. During the ceremony the three core values of the Navy were not only passionately conveyed by the four leading officers, they were demonstrated throughout the ceremony. For example, one aspect of the core value of “honor” is articulated as “We also honor the sacrifices our families and loved ones make to support us in our call of duty.” During the ceremony, Hunter’s wife, mother and two daughters were lavishly honored with generous bouquets from the Navy. The moment reflected the value wonderfully. The other two values are courage and commitment. 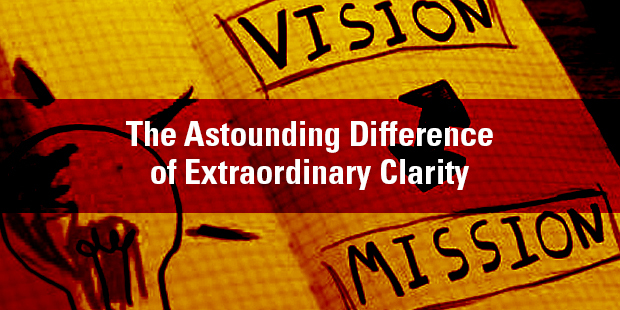 Would you like to learn more about the vision clarity process? Connect with an Auxano Navigator and start a conversation with our team. What’s Wrong with Strategic Planning?